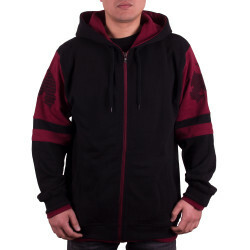 Wu 36 Hooded in burgundy with a multicolor logo print on front and a plain back. 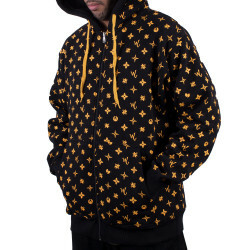 Method Man Zipper Hooded Jacket in bordeaux/black, Meth Symbol Embroidered on the Sleeves and Methodman Print on a back,Hood with Meth embroidered icon and drawcord and meth embroidered, side pockets and zipper. 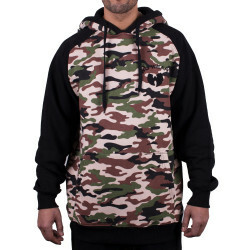 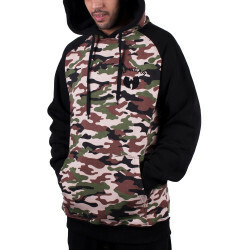 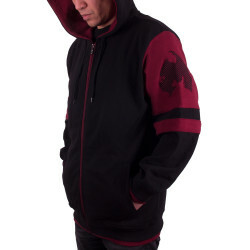 Wuitton Zipper Hooded in black with all over Wu-print front and back. 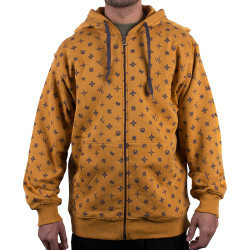 fabric: 100% cotton. 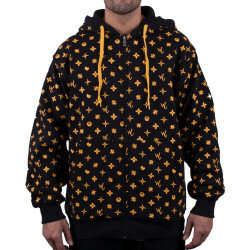 Wuitton Zipper Hooded in gold with all over Wu-print front and back. 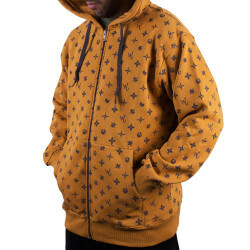 fabric: 100% cotton.